Herman J. Jessor graduated from the Cooper Union Night Engineering School in 1917. He immigrated to New York when he was 12 years old from Russia. He studied at Stuyvesant High School and at The Cooper Union. After his graduation from The Cooper Union, Herman Jessor worked for the architectural firm of Springsteen and Goldhammer, George W. Springsteen and Albert Goldhammer are also Cooper Union alumni. While working for Springsteen and Goldhammer, Herman Jessor worked on the United Workers Colony housing at 2846 – 2870 Bronx Park East. This which was built between 1926 and 1927 (United Worker Cooperative Colony Landmark Application, 1992). One Project that Herman Jessor began but was not able to finish is Starrett City. According to the New York Times, that development originally went under the name of Two Pines Village and was delayed by 10 years because one of the private developers pulled out of the deal because of financial difficulties. The United Housing Foundation also withdrew its support of Starrett City and put its resources behind Herman Jessor’s other project, Co-Op City in the Bronx (New York Times, 10-14-74). 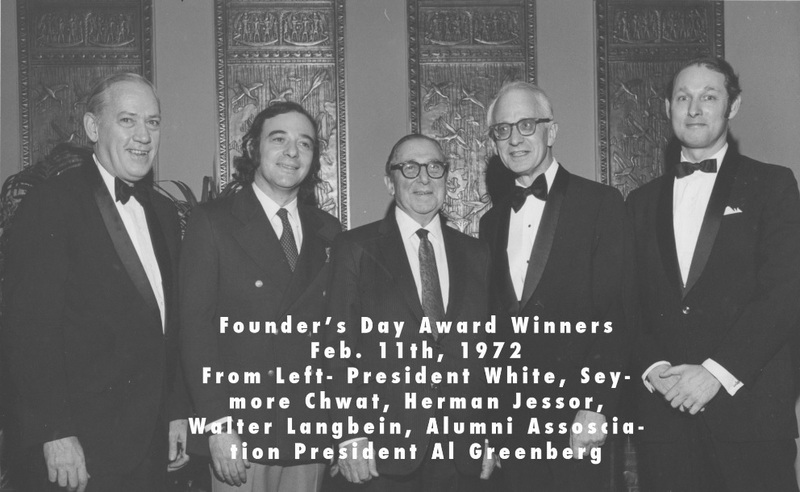 Herman Jessor was awarded the CUAA Alumnus of the Year in 1972, Cooper Union Presidential Citation in 1976, The CUAA Augustus Saint Gauden’s Award in 1985, and was inducted into The Cooper Union Hall of Fame in 2009. Hermon Jessor died in Manhattan on April 8, 1990. This entry was tagged Albert Goldhammer, architect, Augustus Saint Gaudens Award, CO-OP City, George W. Springsteen, Hall of Fame, Herman Jessor, Penn-South, President’s Citation Award, Seward Park Houses, Starrett City. Bookmark the permalink.